NASCANS’ school-based student care centres are located in our various partner schools. We have a dedicated team of seasoned professionals with extensive experience in conducting various after-school programmes for students enrolled with us. The programmes are diverse and range from character building and leadership courses to skill-based enrichment classes for students. We have 4 enrichment programmes which are designed to invigorate students after a long day in school and to develop their sportsmanship, teamwork and mindfulness. We supervise and guide students to understand and complete their daily school homework before going home. This gives parents peace of mind and more quality time with their kids at home. Students will be provided with graded practices to improve their process thinking skills in their various subjects. Our group activities are designed to invigorate students after a long day in school and to develop sportsmanship, teamwork and mindfulness. 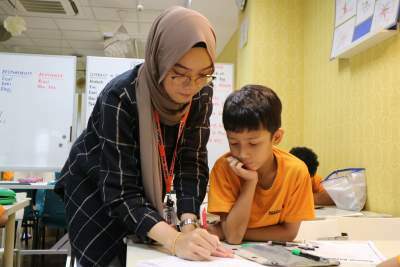 Students may participate in our curated arts and craft sessions lead by centre mentors after completing their daily homework to facilitate creative thinking. Our dedicated staff will ensure all homework and spelling practises for both English and Chinese are completed before the students head home. Spearhead your child’s development with additional enrichment courses on top of the regular programme. This consists of bespoke lessons that teaches students how to acquire and retain knowledge effectively. These lessons are specially developed by our team of in-house experts, who infuse globally recognized pedagogies into our repertoire. At NASCANS, we believe in the power of a holistic learning experience. This is exemplified by our indoor programmes which relies heavily on interactive and self-directed learning in order to help our students gain knowledge. Leveraging on the power of information technology, interactive games and our carefully constructed learning environment, students will be able to enrich themselves in learning beyond the classroom. 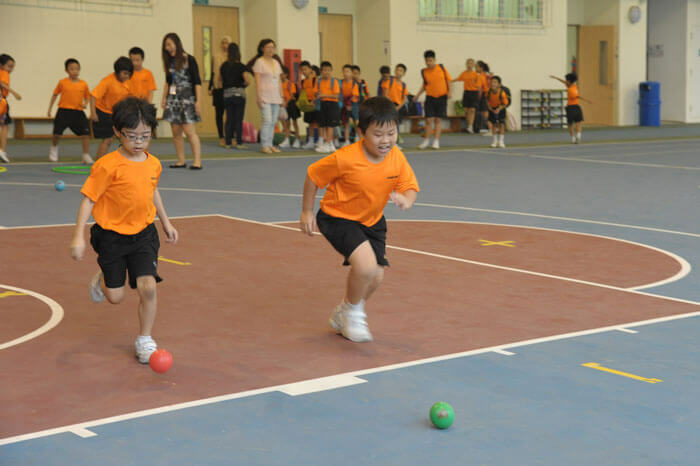 These programmes infuse the school’s values into competitive activities, honing social skills and helping our students understand that teamwork is key to achieving goals. We see the school holiday period as an opportunity for students to engage in learning beyond the classroom in a more relaxed setting. 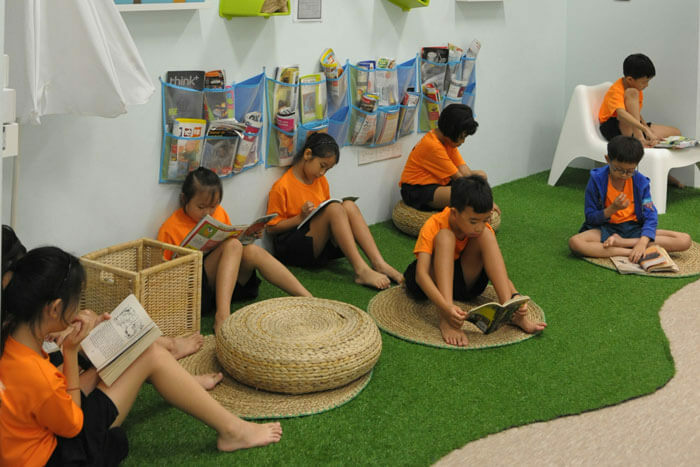 A smorgasbord of fun, hands-on activities and outings await the students during this period, allowing them to learn beyond their textbooks and grow holistically whilst having a great time. As a school-based student care provider, we also align our teaching to integrate the values promoted by the schools into our lessons. 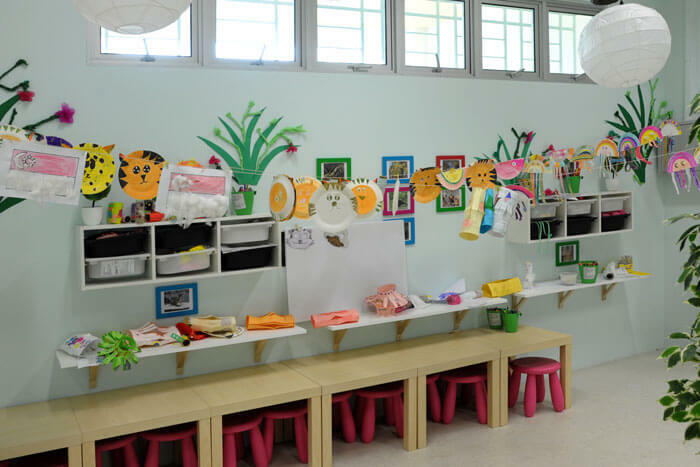 We serve as an extension of the school by complementing its curriculum and expanding on its range of services provided by the school in a symbiotic manner. Students are taught respect and compassion in our special character building sessions.